As a former sporting goods store owner and a current Dad of high school athletes, the “special” or “lucky” pair of socks always seems to hold a unique place in an athlete’s heart. On the other hand, some of the colors are off the chart and if each athlete has their own color, it can be quite a look for a team. Well, enter The McCarthy Project Nike Custom Sock Program, we will work with you to design a “special” sock that you and team would enjoy. Our program allows you to order the brand of your choice and customize it to your expectations without a major up-front investment. 1. Low minimum orders with no setup fee (6 pair). 3. Quality: Socks are not screen printed, customizations are stitched into the sock or embroidered based on design and brand. 4. A quick 2 week turnaround from the time the order is placed. 5. Sport-specific socks available upon request. If this offer holds appeal, we would be happy to send you a visual mock-up design based on your team logo and colors. Or if you have any additional questions, call Stephen at 612-741-0982 or email mccarthy@themccarthyproject.com. The following is the sample of pricing for a Nike Elite uncustomized pair of socks. 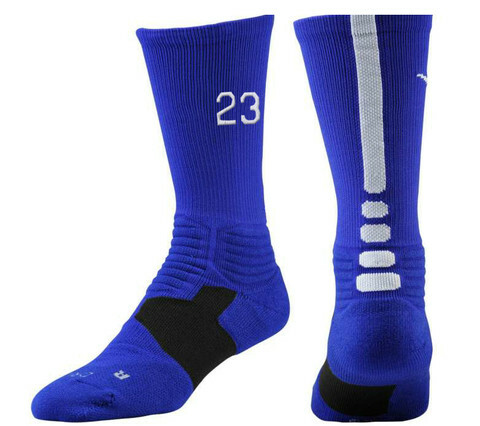 $13.99 per pair and customized Nike Elite socks start at $22.95 per pair. For details on color selection and logo placement, contact Stephen McCarthy at 612-741-0982. Team and volume discounts available. For additional information on our non-branded custom sock program, visit our complete custom sock program. Volume discounts available. 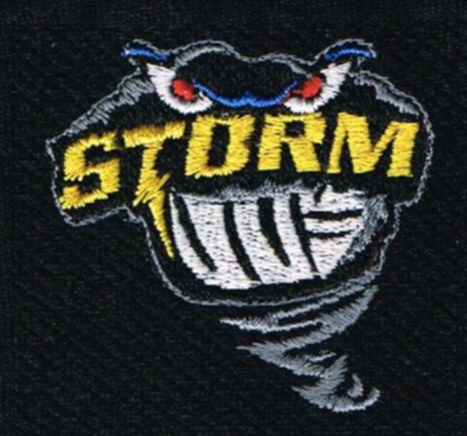 We custom design and manufacture custom socks with original designs to match teams or organization’s colors and logo.